This code popped up yesterday while on a lease road in West Texas and triggered a "Reduced Engine Power" message. Good thing it only cut it to 90mm3 and didn't limit speed, basically stuck on Tune 1. Sensor checked out fine, voltage reference is good, but no ground or return signal to the ECM. 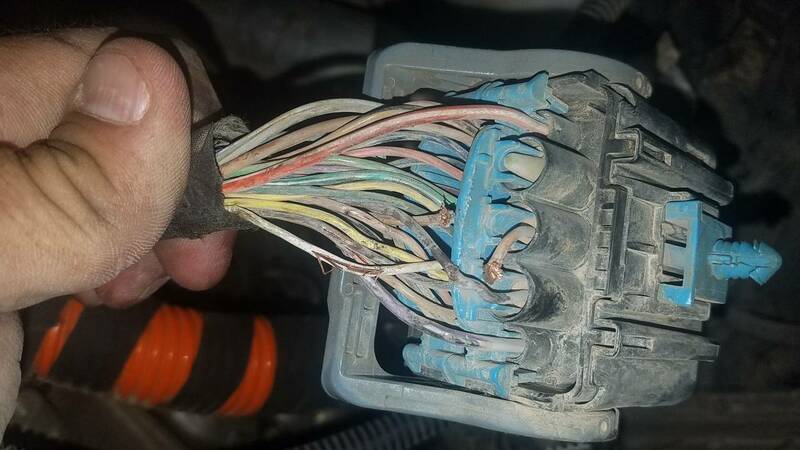 Time for a fun wire hunt... Gotta love those rough lease roads! It made it a long time for a 201k mile oilfield pickup. But it's definately getting some more protection and routing. Woof...8 wires with issues that I can see. Thank god you found it. Pretty common spot for issues. I should have checked that lastnight when I got home but didn't think about until today.